The training provides an introduction to welfare benefits, housing and homelessness and debt, and is aimed at local voluntary and community organisations who support people facing hardship. People from ten organisations in Wandsworth came together to complete the introductory ‘Advice First Aid’ trainng course developed by Citizens Advice Wandsworth in November. A diverse group of staff and volunteers from the Community Church Putney, Earlsfield Food bank, St George’s University Hospital Trust, Eritrean Muslim Community Association, Sunni Muslim Association, Islamic Culture & Education Centre, Elays Network, S.T.O.R.M Empowerment, Jimmy Asher Foundation and Be Enriched participated. They have in common their day to day interaction with people facing hardship in the borough and a desire to work together with other organisations to assist people in navigating the systems which affect their lives. Citizens Advice Wandsworth staff delivered highly interactive sessions introducing the welfare benefits system, housing and homelessness and managing debt. Participants also had an introduction to online resources which will help them find information and access other local services to help their communities. The project team is now working with the these organisations to support them in using their new knowledge and skills effectively. To express interest in participating in the Advice First Aid training programme, please complete the Contact Us form. 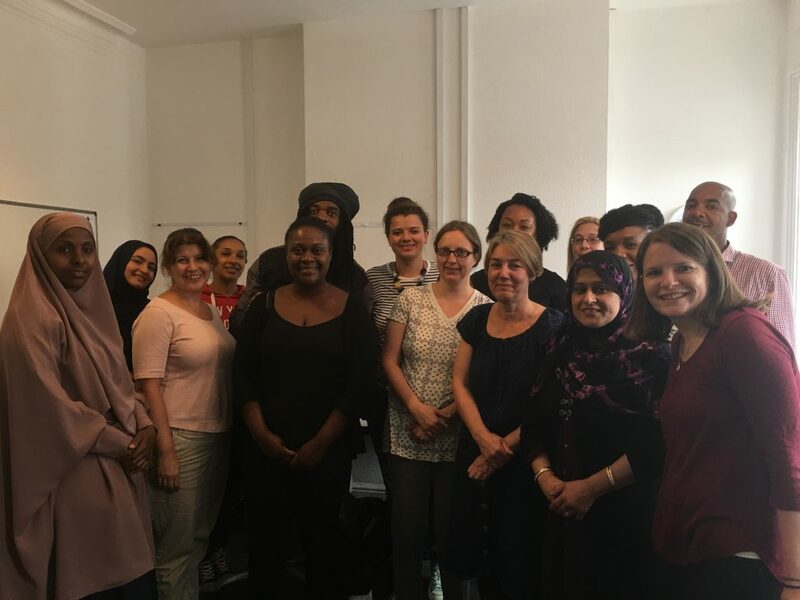 The first Advice First Aid training course took place in June 2017 at Citizens Advice Wandsworth offices in Battersea Library. The training was held on 3 days over 3 weeks and aimed to equip the participants with the knowledge and skills to provide information to people facing hardship and support them in accessing appropriate local resources. 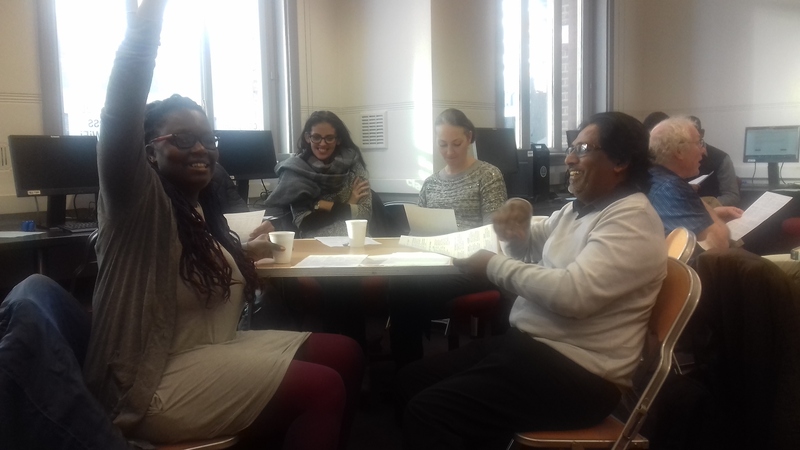 Representatives from Age Activity Centre, Elays Network, LittleVillage, S.T.O.R.M, St Mungo’s, Family Action Newpin, Mushkil Aasaan, WCEN and Citizens Advice Wandsworth participated in the training. Topics covered included Welfare Benefits, Housing and Homelessness, Debt, Confidentiality, Interview Skills and Resources and Referrals. Feedback from the participants was very positive and the group are now practicing their skills in their volunteer and staff roles, supporting people facing hardship. The group will meet again in September 2017 to share their experiences and plan their next steps. Citizens Advice Wandsworth is planning to deliver the Advice First Aid training to a second cohort in autumn 2017. If you wish to be involved, please complete the contact form. Potential Advice First Aid trainees and representatives from Help Through Hardship Crisis project partners came together in March to discuss and co-design the pilot Advice First Aid training programme. 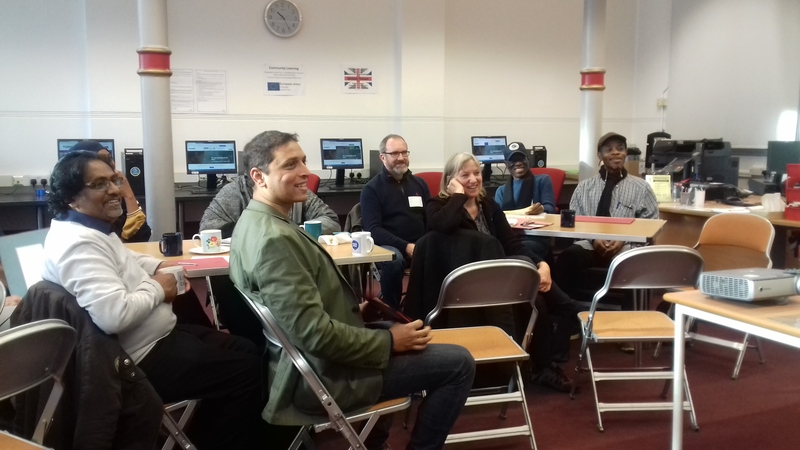 Representatives from Age Activity Centre, Elays Network, LittleVillage, S.T.O.R.M, Putney Wellbeing Friends, WCEN and Citizens Advice Wandsworth participated in the workshop. The group discussed situations Advice First Aiders will face and what skills and resources they need to gain, through the training programme, so they can assist people effectively. Issues around homelessness, social housing, mental health issues, addiction, claiming benefits, domestic violence, asylum seeking and pay day loans were discussed and participants discussed their training needs in order to be able to work with individuals experiencing these hardships in their communities.